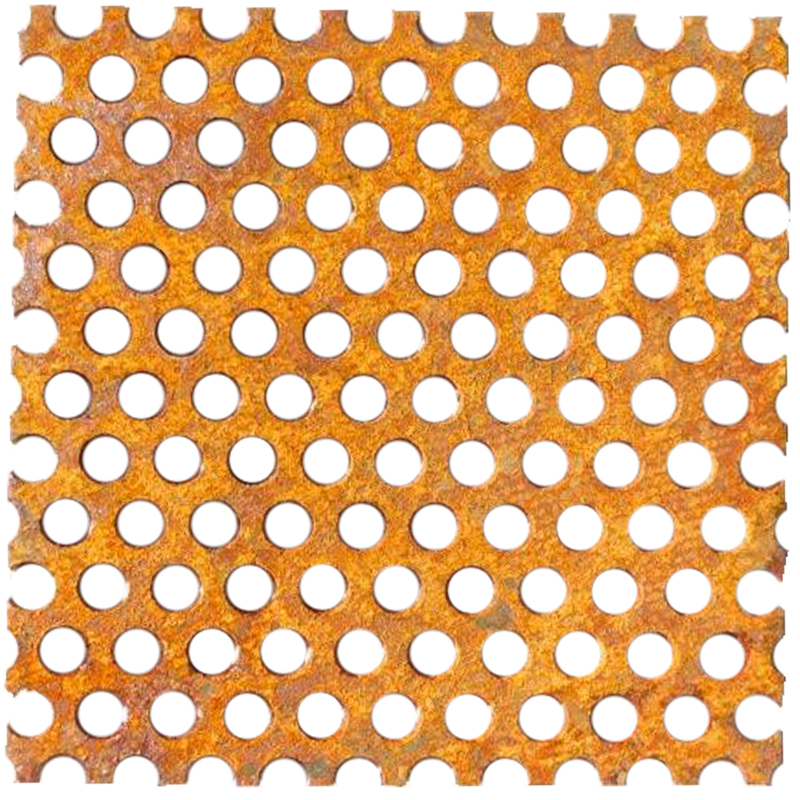 Choose from a wide selection of gauges for perforated Corten® metal flat sheets. Custom lengths and widths, gauges and perforation patterns are available. Click on a gauge below for more details. • .127 Round Holes With 7/32" Stagger and a 30.5% Open Area. • 48" Wide X 120" Standard/Custom Lengths Are Readily Available. Custom lengths and widths, gauges, and perforation patterns are available. • 3/16" Round Holes With 5/16" Stagger and a 32.65% Open Area. • 48" Wide X 120"
• 1/4” Round Holes With 3/8" Stagger and a 40.31% Open Area. Custom lengths and widths, gauges and perforation patterns are available. 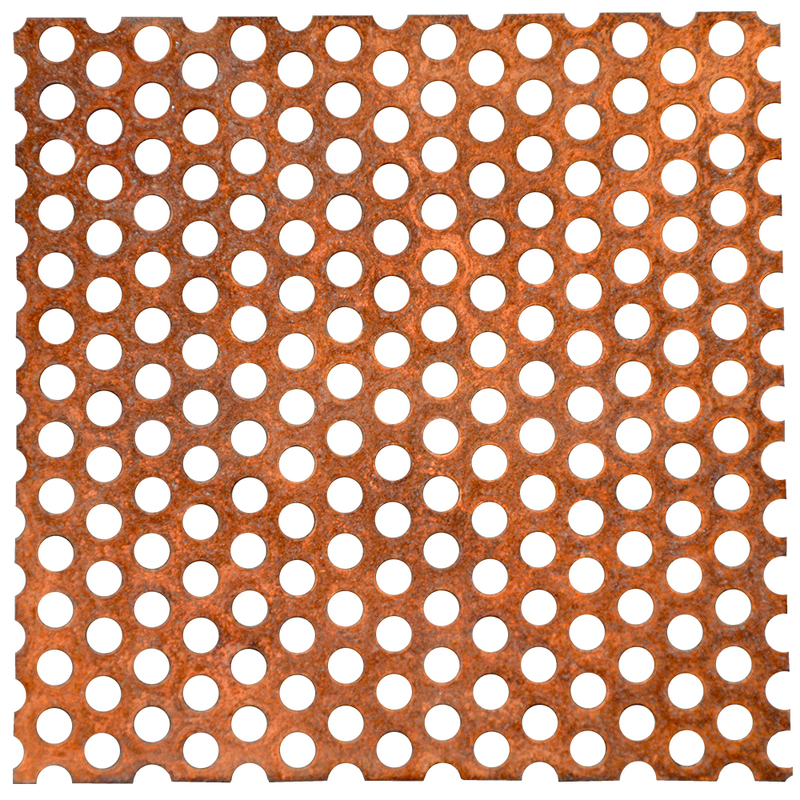 Perforated Coil is in stock and can be made at any length.